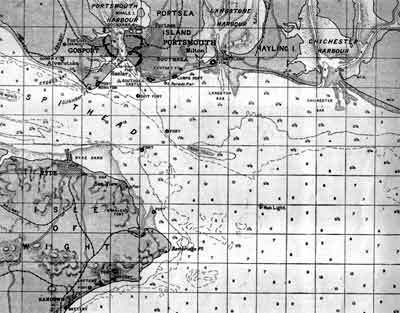 Solent, The[sO´lunt] , channel, c.30 mi (50 km) long and 3/4 to 5 mi (1.2–8 km) wide, between the Isle of Wight and Hampshire, S England. It serves as an anchorage for ships entering Southampton Water. Yacht races are held there. Stark words to introduce one of the most romantic stretches of water around England. From the sinking of the Mary Rose, to the launching of the Princess Flying boat, and the home of the most famous ocean going liners in the world. This unique playground of Royalty has seen it all. Queen Victoria used to arrive at Stokes Bay, after a train journey from London, to be ferried across the Solent to her home on the Isle of Wight, and Prince Albert was taken by boat the other way to the Alverbank Hotel, where he enjoyed the hospitality of . 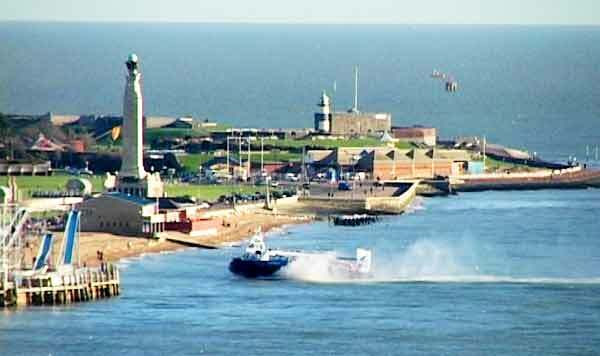 The Royal connection goes back almost as far as the Monarchy itself, but the most famous event happened in 1545, When King Henry VIII watched her sink from Southsea Castle. 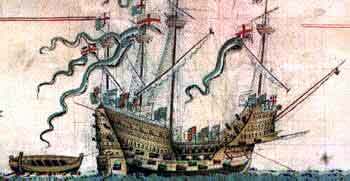 Built between 1509 and 1511, she was one of the first ships able to fire a broadside, and was a firm favourite of the King. The connection was revived in 1982, when Prince Charles formed part of the recovery team that eventually raised the Mary Rose from the sea bed and housed in the Portsmouth Dockyard. Solent Hovertravel operates the only remaining hovercraft service in the UK, operating between Southsea on the mainland to Ryde on the Isle of Wight. In the foreground is Southsea Fun Fair. Portsmouth's War Memorial dominates the skyline, and the Sea Life Centre is to the right. 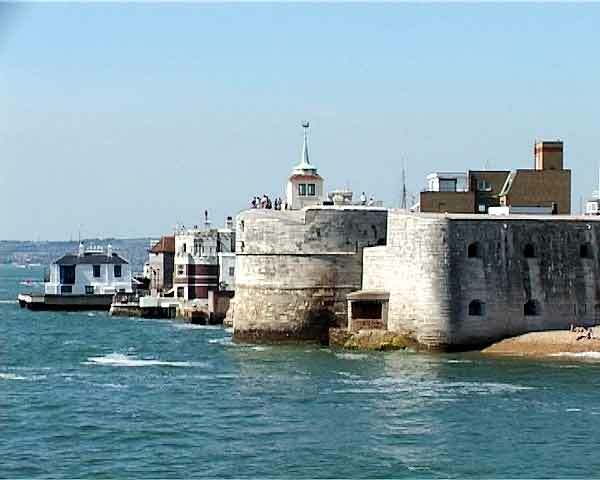 The Round Tower ,where Henry VIII watched the Mary Rose sink, and Fort Blockhouse on the Gosport side of the harbour, mark the end of the Solent's boundary. The harbour stretches past Portchester to end at Fareham. The first Royal review of the fleet has been recorded as being held in 1415 when Henry V reviewed his ships prior to sailing to France which ended in the victory of Agincourt. 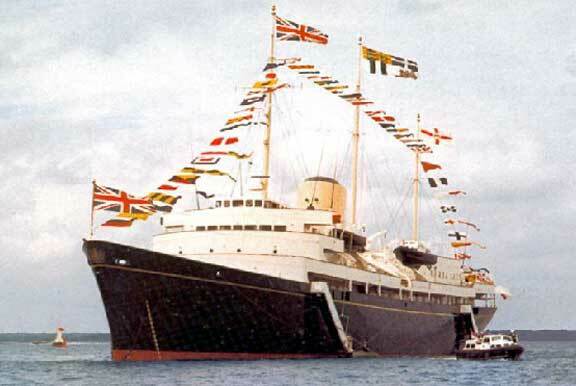 Since then, 43 Royal naval reviews have taken place, the last being in 1977 to mark the Silver Jubilee of Elizabeth II. 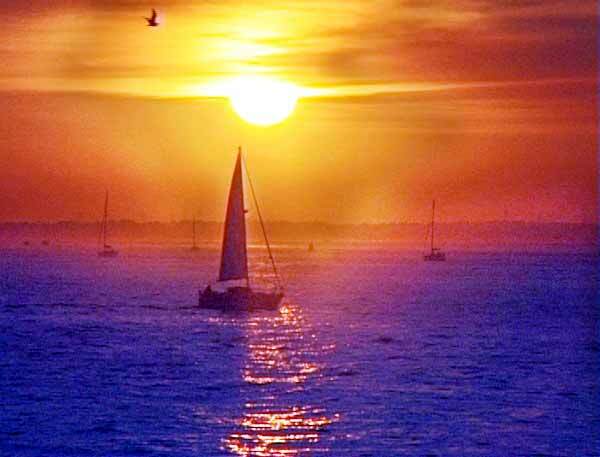 Most of the reviews have been held at Spithead, the anchorage outside of Portsmouth Harbour in the channel known as the Solent. There have only been two reviews not held there: July 1919 at Southend to mark the naval victories of the Great War and in 1965 in Clyde where a partial review took place. The largest review held was never advertised for it was a review of the D-Day invasion fleet in May 1944; 800 vessels were present ranging from capital vessels to small minesweeper and landing craft. Reasons for holding a review vary. Originally they were held when a mobilisation for war was carried out and secondly, to demonstrate the strength of the fleet to potential enemies. Examples of the first reason can be seen in 1415, 1853 (imminent war with Russia) and 1914, while examples for the second came in 1700 when Peter the Great visited Britain, the visit of the Russian Tzar and Kings of France and Prussia in 1844 and lastly the visit of Kaiser Wilhelm II and Admiral von Tirpitz in 1889. The reign of Queen Victoria saw 17 Royal reviews of the fleet - the first being 1842 and the last in 1899. Her Diamond Jubilee review in 1897 and the review of 1899 were presided over by the Prince of Wales (later Edward VII) as the Queen was too frail to attend in person. Since the early part of the twentieth century, it has become customary to hold a review to mark the Coronation and Royal Jubilees of the reigning monarch. This custom ended in 2002 when it was decided not to hold one to mark Queen Elizabeth II's Golden Jubilee in that year due to cost. DUNVEGAN CASTLE (1) was built in 1896 by Fairfield Ship Building & Engineering Co. at Govan with a tonnage of 5958grt, a length of 450ft 6in, a beam of 50ft 11in and a service speed of 15 knots. She entered service as a mail steamship and in 1900 had her yards removed. In 1901, together with the Scot, she carried members of both Houses of Parliament to King Edward VII's Spithead Review. Fingernails grow four times faster than toenails-about two hundredths of an inch per week. Your brain uses 10 times more oxygen than the rest of your body.